News organizations throughout the state will publish stories to help launch a public conversation on this often-stigmatized issue. Suicide still carries a significant social stigma. Bringing awareness to the issue and examining the effect of mental health on Oregon communities is part of an effort by Oregon journalists called “Breaking the Silence.” This week (April 7-14) news organizations throughout the state will publish stories to help shed light on the issue, its scope and efforts for prevention. The effort was born out of a summit about how to responsibly report about suicide conducted by Lines for Life, a local nonprofit focused on suicide and substance misuse prevention. Regence BlueCross BlueShield of Oregon provides financial support to Lines for Life as part of its community commitment, and two company executives – Kerry Bendel, Chief Pharmacy Officer, and Todd Guren, Director of Product Management – are on the board. 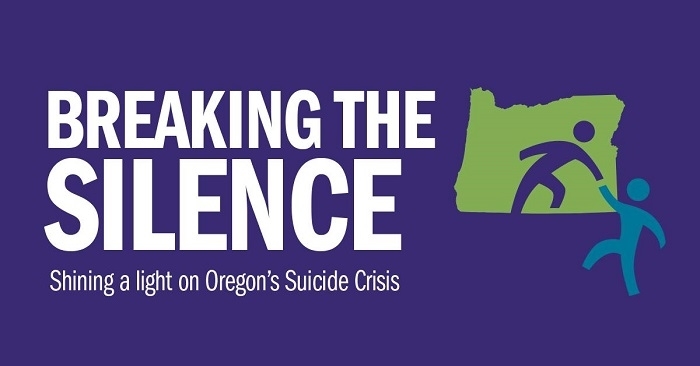 Regence sees “Breaking the Silence” as an important and ground-breaking effort. See the collection of stories by Oregon journalists at breakingthesilenceor.com. If you or someone you know is considering suicide, please call the National Suicide Prevention Lifeline at 1 (800)-273-8255, or the Oregon Youthline at (877)-968-8491 (text “teen2teen” to 839863).